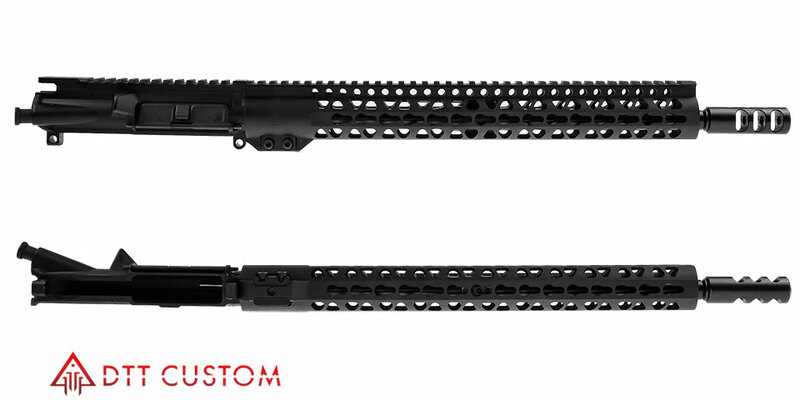 Built On An Aero Precision Upper Receiver Forged From 7075-T6 Aluminum, This Stripped Upper Is Precision Machined To Mil-spec M16/M4 Specifications And Features M4 Feedramps. 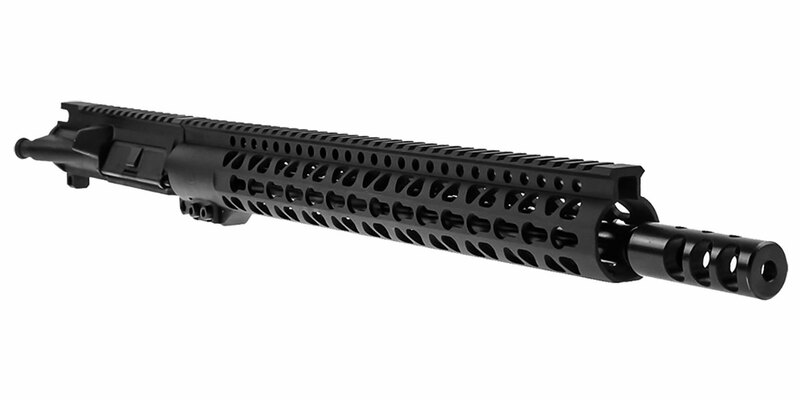 The Trinity Force Atlas 15" KeyMod Free Float Rail Features A Slim Profile For Improved Ergonomics And Superior Weight Savings. 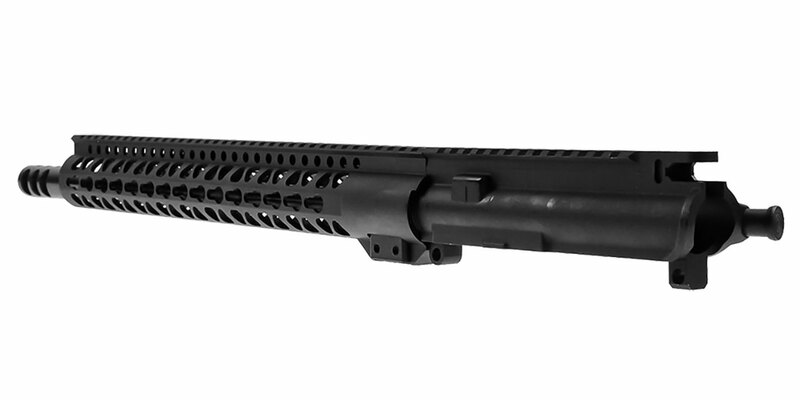 With A Static Top Rail Optimized For Mounting Optics, And Multiple Contact Points For A Hex Key Mounted Modular Rail System On The Sides And Bottom, The Atlas Rail Is The Ideal Solution For Any AR-15 Owner Looking For Speed And Mission Flexibility. It Uses A Hex Key Secured Barrel Nut Clamp And Proprietary Barrel Nut For Even More Weight Savings And Increased Ease Of Installation. 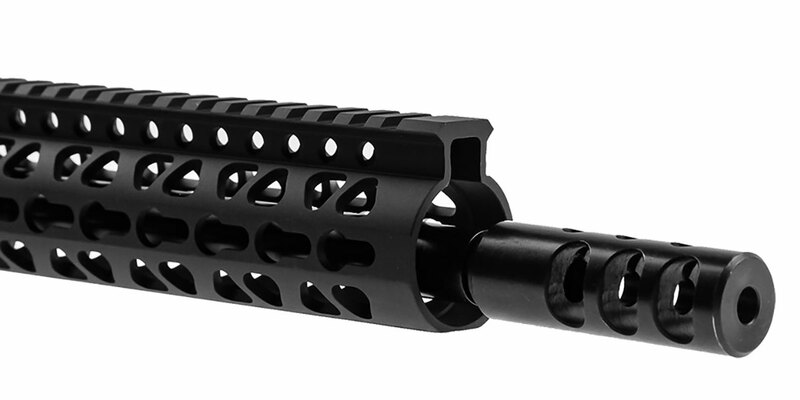 Davidson Defense Black Long Super Compensator Greatly Reduces Felt Recoil And Muzzle Rise As Much As 40%, Making This Muzzle Brake One Of The Most Efficient Muzzle Brakes Around.